"The world will only highlight the negative so let us highlight the positive"
After posting a few posts before about my experience in learning the Yoruba language i have had a lot of emails and comments from people who are trying to learn Yoruba them self. Now, first of all i understand how hard it can be and how frustrating it can be when you don’t know where to start or what books to use etc so i thought i could share some tips and suggest some books to you and also name a few books that i also used. 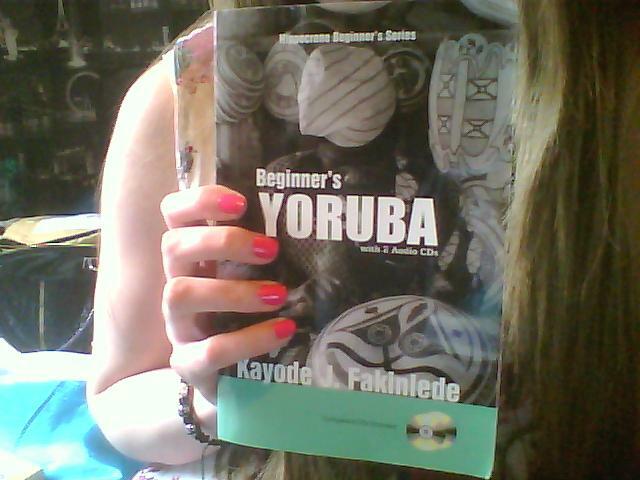 First of all i would say that patience is the number one key to learning Yoruba and i have learned that the hard way! I was someone who wants to know how to speak Yoruba NOW.. i had no patience when i was younger and got frustrated at why i wasn’t learning as fast as i would have liked. It does take a good few years to really get a good grip of the language and i learned that only about a year after i started learning Yoruba. So please have patience and give it time. 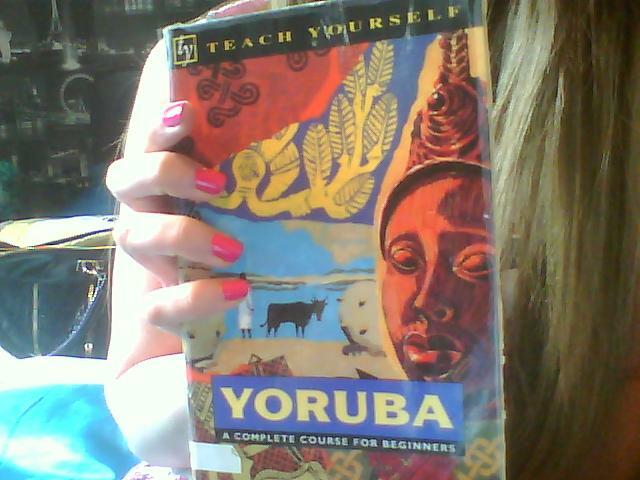 Don’t forget that Yoruba is a tonal language so it is a bit more difficult too. I am Scottish so you can imagine the difficulty i had trying to speak Yoruba with a Scottish accent lol Try and adjust your accent to the correct tone. Spend at least 1 hour every night reading and speaking Yoruba – This keeps it fresh in your mind. Reading your books and also writing in Yoruba too. If you are not confident enough to speak it in front of others then speak it on your own and try videoing your self so you can hear where you are going wrong and learn from any mistakes you make in pronouncing etc. Watch Yoruba movies with subtitles – Watching Yoruba movies is very helpful as it can help you hear how certain words are pronounced rather than just reading it from a book. It also helps you take it in more when you are hearing it from another person. Listen to Yoruba music – Again, like watching movies, this helps hear the pronunciations. For me this is one that helps me a lot because if you think about it, when you are listening to music, that song gets stuck in your head all day correct? So having a song sung in Yoruba stuck in your head can help you remember certain words. I also advise you to look up the lyrics of the song, that way you know what they are singing and learning how to say it at the same time! Try and surround your self with Yoruba friends – I have a lot of Yoruba friends but unfortunately i was not confident enough to speak Yoruba with them as i always thought i would sound silly given i have a Scottish accent lol But looking back now, i see that it was just lack of confidence as a person not only in speaking Yoruba. I wasn’t really a confident person a few years back but now that im fully grown i wouldn’t think twice before speaking Yoruba aloud! lol Confidence comes with age i think so don’t worry if you are still young and lacking confidence. It will come naturally later on. Don’t stress on it too much. Try practicing speaking Yoruba with your closest family member – This one is the part that came easy to me. I was always scared of speaking it with friends as i worried so much about making mistakes or that they would laugh. But with my sister (my closest family member) it came naturally and we just had fun in speaking it. I even taught her some words here and there and even till this day we speak it and joke around with it. Its always more comfortable speaking it with a close family. That way you won’t feel scared about making mistakes. This is a beginners book and it comes with 2 audio CD’s which is very helpful for hearing how the words sound. It is very well written and contains enough information to have you speaking basic and daily conversations. This can be bought on Amazon or Book Depository. I found that this book is only very good if you want to be perfect in writing and reading Yoruba BUT i wouldn’t suggest using this book if you want a fast track to speaking basic sentences. This book is more detailed and very time consuming because it covers every word, phrase and sentence you can think of lol some of which you will never really use on a daily basis. I would only fully suggest this book if you were about to sit a Yoruba exam or something way more deep than just learning Yoruba for daily conversations. 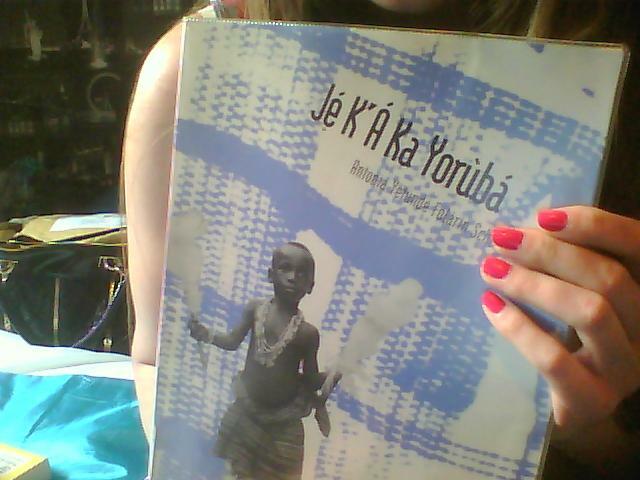 I got rather impatient with this book as i wasn’t really learning how to speak Yoruba but rather learning how to write and read Yoruba only. This book i wouldn’t suggest until you are passed the beginner stage. It isn’t quite as detailed and helpful for beginners, of course this is because it is an intermediate course duh lol The book is mostly written in Yoruba and not much English translation. So i would really only suggest getting this book when you are further into your learning. The main reason i posted this book was because it covers a lot of phrases and information that the beginners book may not cover. Its a helpful book to have at a later stage. 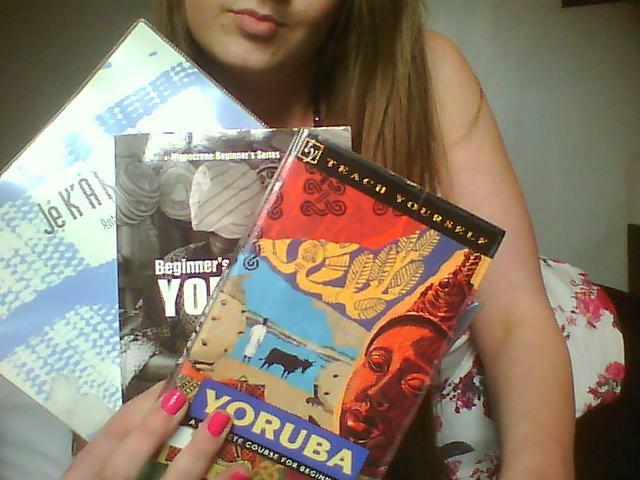 So as you can see there is a lot of useful tips and books to help us learn Yoruba right at home without paying huge fees and taking endless expensive classes to learn Yoruba. I am not saying going to study Yoruba or join classes is a bad idea but learning from home in your own comfort zone at your own pace is somehow a better way to fit it around your every day life style and job etc. Just remember that Yoruba isn’t something you will learn over night and it is ok to take a longer time to learn it or to make mistakes! It is all part of learning and even myself still learns new things and new information about Yoruba so it is a learning path just like everything else in life. If you have any questions or would like to add me on facebook or drop me a message for any other information then feel free to do so 🙂 All my contact information is in the “Contact” section of my blog. Brymo drops his new single on Nigeria’s 53rd independence day! Pure talent!! How to Greet Yoruba parents and elders. Getting ready for take off! What i love about Africa! What people really eat in Ghana. What is there to love about Ghana? Try a taste of Kenya! Carrying things on your head. Why would you want to settle down in Nigeria? Is marriage really that different around Africa? The importance of teaching your kids their mother tongue.